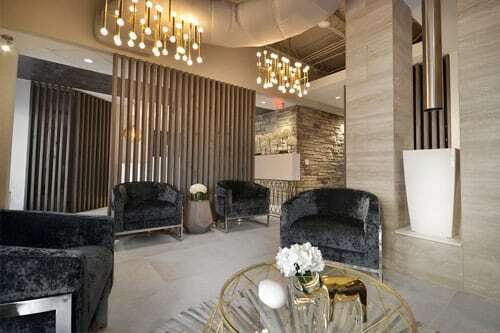 Atlanta Dental Spa is a locally-owned, award-winning luxury dental office dedicated to delivering high-quality service in a relaxing and comfort-driven environment. We’re the first choice for those looking to create the perfect smile, undergo a dental reconstruction, or achieve total wellness. The link between dental health and whole-body health is our priority. We educate patients about the risks and provide cutting-edge screenings to identify and prevent diseases of all kinds – from periodontal disease to heart disease. We’re dedicated to spotting warning signs and diagnosing dangerous health conditions while you’re in the chair. Our patients receive high-quality care and unprecedented comfort. We’re dedicated to delivering the very best results for you. We love what we do and it shows! From the quality of our equipment and highly credentialed doctors to the unprecedented customer service and luxury office environment, we’ve transformed the dreaded dentist appointment into a new type of dental experience you can trust. A new kind of dental experience! Request your appointment at Atlanta Dental Spa and discover the benefits of complete health dentistry.